How can you make a beautiful Queensland home even more beautiful and create a place for countless relaxation and entertainment opportunities? Call in Martyn Hewett, Branch Owner of Outside Concepts in Kenmore. 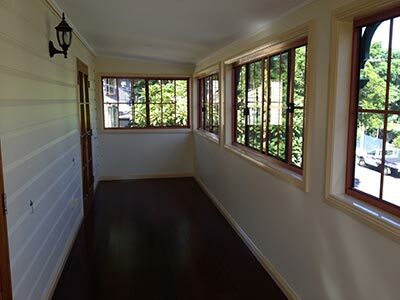 He recently installed a sunroom extension to this family home in Paddington. And the owners were so happy with the job they were prompted to write to Martyn to thank him for his efforts. “Martyn has just completed a sizeable project for us and we could not be happier. “We are new to Brisbane and were aware how important the decision to pick a good, skilled and reliable builder was. Martyn was all of those things. He worked promptly and thoroughly, and took great care and attention to produce a stunning finish. Martyn engaged equally professional contractors and they too did a great job. And the result? We just love our new sunroom! “What I like most about Martyn is that he is a great all rounder and handy in all aspects. He helped us with various things around the house and nothing was ever too much trouble. He is honest, genuine and you can count on him. And that is worth a lot in this day and age.